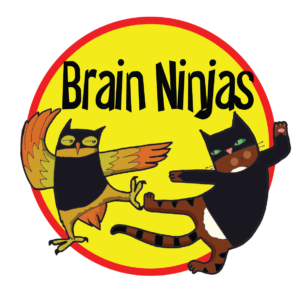 You are a great teacher, but don’t have a classroom library? Of course you want your students to have a great selection of books for reading throughout the year, but most schools do not pay for classroom libraries. How on Earth are new teachers (and even the more experienced ones) expected to have a quality selection of classroom library books? 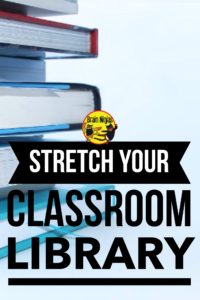 What are some ways to stretch your classroom library to get books into the hands of each and every one of your students? A strange thing happened this year. Our students were so dramatic-and by that we mean we started using drama as a way to help teach, review and reinforce our learning in every subject area. The kids loved it-even the shy and quiet ones. Let’s be honest. Teaching lands somewhere between collecting and hoarding. But don’t you fret! It’s time for some spring cleaning-classroom style. Let’s clean the clutter. I promise it is hard work, but it will leave you and your students feeling refreshed! Mr. Ninja once had to bring a giant rock on a 1400 km trip because there was a possibility it might come in handy for a science lesson. It’s lived in our garden for twelve years. Why do we do this to ourselves? Do you have students in your classroom you would label as reluctant readers? 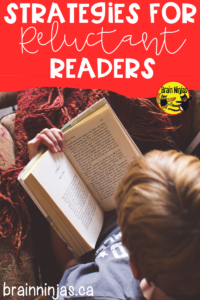 A reluctant reader is usually considered to be a person who doesn’t read for pleasure, but we’re about to debunk that myth and help you out in your classroom by giving you strategies to engage reluctant readers in ways you didn’t even know you needed. 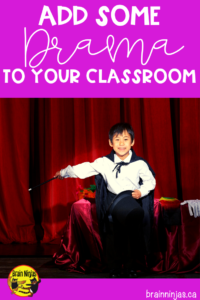 Flexible Seating: What Do I Do With the Stuff? Flexible seating is all the rage these days. Finding information on different seating arrangements and types of furniture is easy. But how do you keep students and their many belongings organized? We’ve used flexible seating in upper elementary classes for the past six years. Our students are taught from the first day how to properly choose a seat, work where it suits them best and how to stay organized so their stuff isn’t all up in our stuff. Read a previous post about the types of furniture we use in our classroom. Here’s what we do with all the stuff. [Read more…] about Flexible Seating: What Do I Do With the Stuff?